Here is an exciting and innovative approach to financing original works of sacred art. 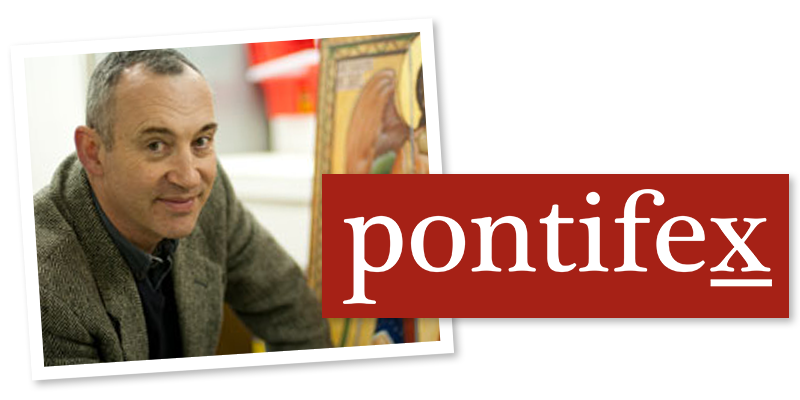 It comes from the recently formed John Paul II Foundation for Sacred Arts. It is a free market approach in which artists are motivated to create work of sufficient quality that it will fulfil its purpose fully, which means that it will connect with congregations in their worship. If he fulfils both of these criteria, then through this system, he will generate enough return that he will have more than a living wage. Instead of a traditional endowment or commission model, the Foundation partners with artists in an entrepreneurial venture to fund a given project at cost. This format makes funding sacred art financially accessible to donors of all levels. Grants are crowd-funded and paid in installments throughout the creative process to pay the artist’s material costs and living expenses. Upon its completion, the artist retains primary ownership of the work, while the Foundation enjoys a share in the proceeds of any sale of the work, associated prints, or revenues from displaying the work. The great strength of this, is that once the artist is selected for crowd-funding, he is still not guaranteed success. The funding will only come if the crowds are interested, so to speak. In other words, it must appeal to large numbers of ordinary, non-elites as well. This is the ultimate test of beauty - it appeals to the cognoscienti and hoi polloi alike. 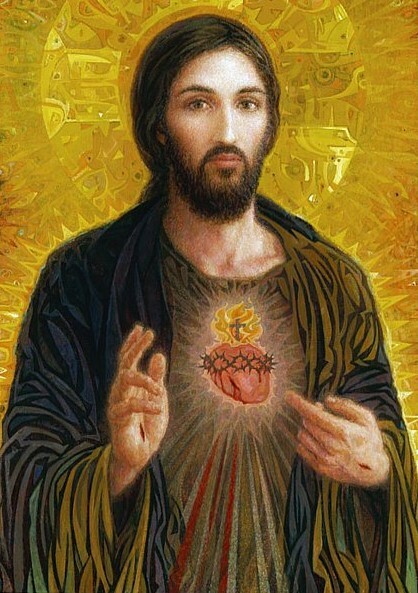 As Benedict XVI said in A New Song to the Lord (p123): "It is precisely the test of true creativity that the artist steps out of the esoteric and knows how to form his or her intuition in such a way that the other - the many - may perceive what the artist has perceived." This is saying that while all that is popular is not beautiful; all that is beautiful will be popular (provided enough people are exposed to it). Therefore, the judges who consider its appropriateness for sacred art must consider also whether this is likely to connect with congregations. If they get it wrong and no one wants to fund it, they won't make the same mistake twice! It is, in part at least, self-selecting. Some artists may still argue that they won't be able to access this funding unless they can first jump through the hoop of judges' selection. This is true. But if that happens to you...start your own crowd-funding foundation! The best will rise to the surface and the crowds will decide which judges they trust, and whose art they want to back. The Foundation is inspired by the personal experience of its founder, Fr. Michael Burbeck, who had a profound conversion sparked by the transcendent beauty he found in the great churches of Europe. This encounter with beauty set him on a path to the Catholic faith and, ultimately, the priesthood. The art I encountered was the fruit not only of a culture of faith, but of a system of patronage where art and artists were promoted and financially sustained. 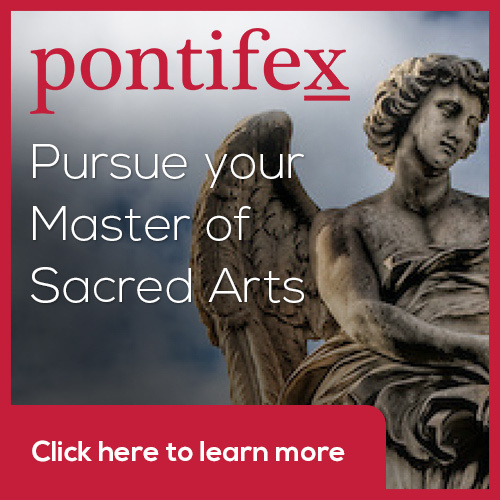 That system no longer exists, and yet, as Pope St. John Paul II says so plainly in his Letter to Artists, “the Church needs art.” The John Paul II Foundation for the Sacred Arts exists to help meet that need — to promote sacred art by partnering with artists who share our belief in the evangelical power of beauty. 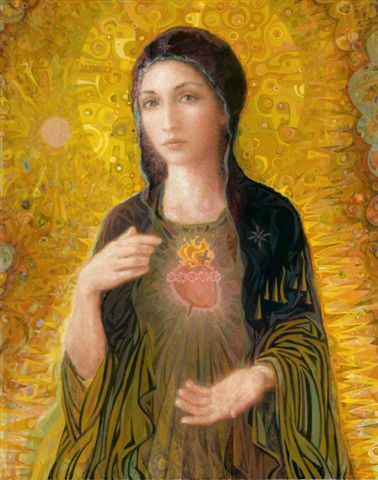 The Foundation is currently funding its first work, a painting of Our Lady of Guadalupe by Cameron Smith - a full-scale re-presentation that the artist describes as “faithful to the message and spirit of the original mystical image … simultaneously familiar and strikingly new.” It is our hope that this work of authentic beauty will bring the image and message of Our Lady of Guadalupe to a new generation. This is so different from the most common model of organizations founded to promote beautiful art in the Church. The standard format that I have seen is to have a call for artists, organize an exhibition, and then have an event with prominent speakers to draw people in to see it. The weakness of this model is that the assumption is that the artists are already out there and all we need to do is publicise their work. What happens in practice is that the exhibition is forced to lower standards in order to have enough art to show. People listen to the high ideals of the rhetoric, and they can see that the art doesn't match up to it and as a result very little happens except that it undermines the message. Every time such an event is organised, I always hope I will be proved wrong and perhaps things have improved enough now so that such events will be successful. If so, terrific! 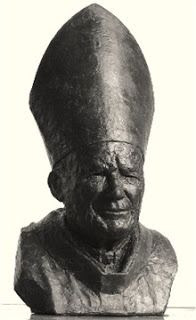 Nevertheless, the John Paul II Foundation at least provides some alternative approach that can be responsive and allow the style that connects with congregations today to emerge organically and naturally if it isn't there intitially.Regardless, the John Paul II Foundation at least provides an approach that can be responsive and allow the style that connects with congregations today to emerge organically and naturally if it isn't there intitially. This need not be an alternative - it is method that could be added to existing intitative as well, it seems to me. For more information or to make a donation, visit their website: www.sacredartnc.org or contact director@sacredartnc.org. For more information on Cameron Smith and his work, visit www.smithcatholicart.com. Two examples of his work are shown below. Newer PostShould An Icon of a Soldier Show Him With Fatigues, Chainmail, or a Roman Kilt?